Off-Road LED Light Bars from Rigid Industries. 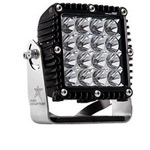 Apex Lighting carries a full line of LED light bars from Rigid Industries. Known as the leader in off-road LED lighting, Rigid Industries produces the highest quality off-road LED light bars. Apex Lighting provides customers with a full line of multiple Rigid Industries LED light bar series, including the versatile SR-Series and elegant RDS-Series. These Rigid LED light bars are constructed of the toughest materials and suitable for duty on your truck, ATV/UTV, or other off-road vehicle. Apex Lighting offers Rigid LED light bars in Dually & D2 Series, E-Series, SR Series, A Series, RDS Curved Series, SR-M Series, and SR-Q Series. 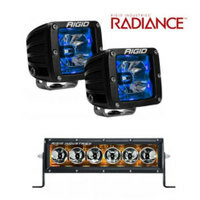 Spend over $100 on LED truck lights and Rigid Industries LED light bars and receive free shipping!